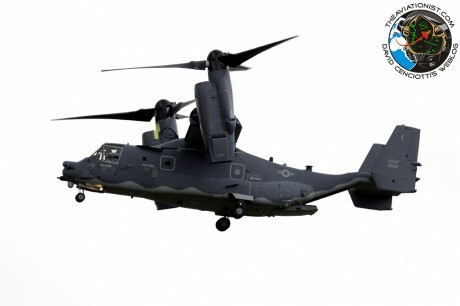 Bell V-280 Valor is a third-generation tilt-rotor aircraft being developed by Bell Helicopter for the United States Army’s Future Vertical Lift program. And here is the first demonstrator aircraft being readied for its maiden flight. Featuring a triple-redundant flight-by-wire Flight Control System and cutting edge avionics, the first prototype of the next generation helicopter is expected to perform its first flight in the next few months. On Aug. 30, what looks like a 100 percent complete aircraft, sporting the registration N280BH, was spotted at Bell Helicopter Amarillo Assembly Center (where the demonstrator aircraft began ground vibration testing with a 95 percent complete helicopter back in February 2017): the Valor is probably being prepared for engine tests ahead of its maiden flight (planned for Sept. 2017). The T64-GE-419 engines and gearboxes in the nacelles are clearly visible in the interesting images in this post obtained from a short video filmed by our friend Steve Douglass. Interestingly, unlike the V-22’s engines, that rotate with the gearboxes, in the V-280, the gearbox is the only thing that rotates. According to Bell “The output shaft is connected to the drive system through a spiral bevel gearbox that transfers power to the fixed gearbox and proprotor gearbox, which rotates on two big spherical bearings driven by a conversion actuator mechanism.” The Valor’s tilting gearbox design vastly simplifies the Osprey’s complex hydro-mechanical clockwork required for the tiltrotor action. N280BH at Amarillo is being prepared for engine tests. The U.S. Army plans to field distinct platforms: a utility helicopter and an attack helicopter. For this reason, a variant, dubbed AV-280, is expected to carry rocket, missiles and also small UAVs (Unmanned Aerial Vehicles) forward or aft with no rotor interference. Noteworthy, also spotted at Bell Helicopter Amarillo Assembly Center recently is the first V-22 Osprey for Japan.